The average consumer is accustomed to making purchases with the click of a button, but what about the tap of an app? 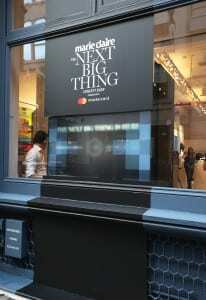 In a quest to illustrate what the future of brick and mortar retail will look like, Marie Claire magazine and technology partner Mastercard this fall activated The Next Big Thing Concept Shop in New York City (Sparks, Philadelphia, handled). 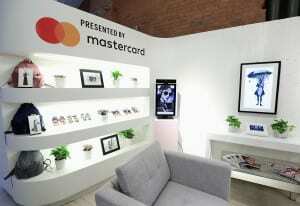 Open Sept. 23 to Oct.12, the app-centric pop-up aimed to seamlessly blend retail’s physical and digital environments—and we were there to get a glimpse at the shopping experience of the future. 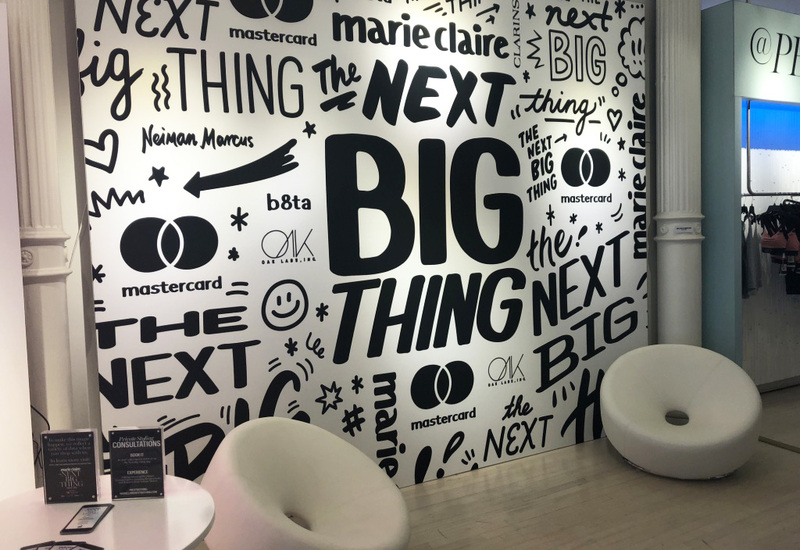 On a warm Wednesday afternoon, I stepped into the sleek pop-up where retail partners Neiman Marcus and Clarins, and technology partners Oak Labs and b8ta, showcased the latest innovations in fashion, beauty, wellness and technology. Chipper brand ambassadors were on hand to greet me and explain that the experience was tied to the October issue of Marie Claire, which highlights the intersection of technology and lifestyle in a six-page editorial section featuring products from the pop-up, and that the store was designed based on the magazine’s most popular sections. As I passed through the Neiman Marcus-style displays, a stylish blazer in the @Work zone caught my eye. “I wouldn’t mind adding that to my wardrobe,” I thought. As if reading my mind, a friendly brand ambassador approached to explain how in-store transactions worked. No cash or credit cards on hand? No problem, she said. Every single item in the store was available for purchase—exclusively through the Mastercard-powered The Next Big Thing Concept Shop mobile app. For Marie Claire and Mastercard, the app integration was a way to simultaneously deliver an innovative experience and collect valuable consumer data. 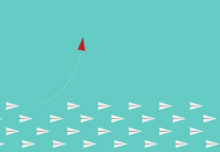 For consumers, the cashless transaction concept was meant to replicate what the brands see as the future of retail—tech-powered, hassle-free experiences that allow shoppers to spend more time perusing and less time (or no time at all) waiting to check out. 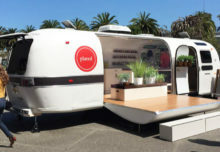 But the app did more than create a seamless checkout; it also allowed shoppers to book one-on-one appointments with a Clarins beauty specialist or Neiman Marcus stylist, and could be used to facilitate purchases directly from the pop-up’s interactive, and seriously cool dressing rooms. 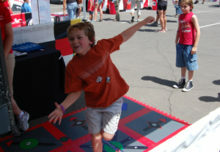 Of course, the app was only one piece of the technology immersion. 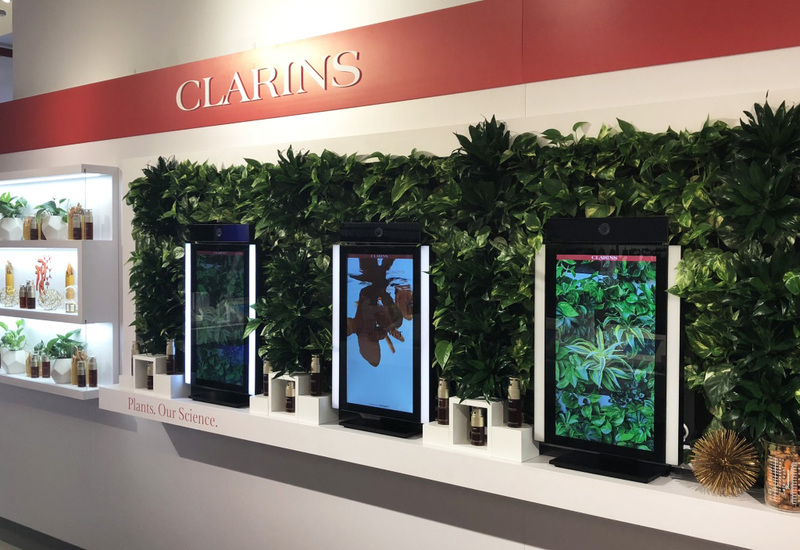 The Clarins Sensor Mirror Pro leveraged facial recognition technology to create a virtual skincare experience that offered product suggestions based on the consumer’s skin type. A Neiman Marcus Sunglass Memory Mirror offered side-by-side comparisons of consumers wearing different pairs of shades in a high-def video that could be shared on social media (seeing my profile up close did anything but inspire me to share the image with my closest friends and family, but hey, to each her own). To boot, Neiman’s ChargeItSpot let shoppers browse while juicing up their devices in a locked charging station—a savvy move for an app-powered experience. 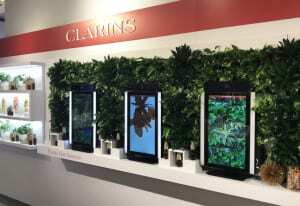 Then there were the smart mirrors powered by Oak Labs. 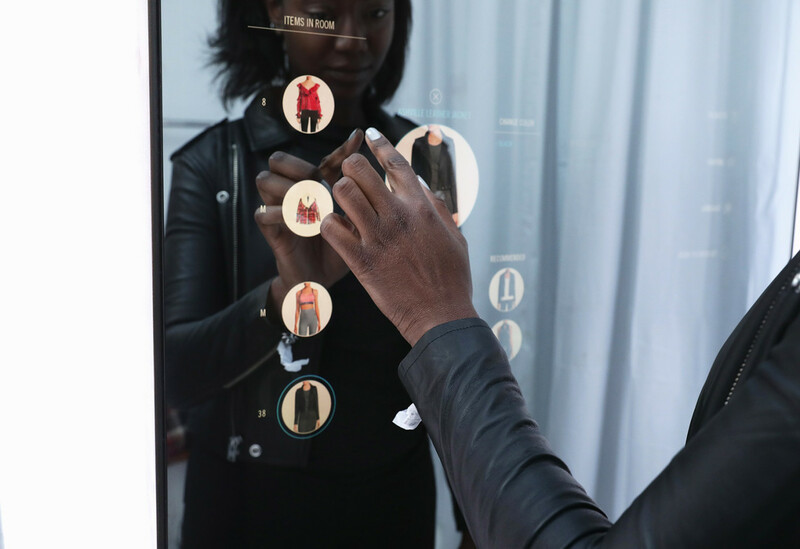 In each of the pop-up’s dressing rooms, consumers could tap a clothing item’s RFID tag to the mirror, which then displayed the article on the screen. From there, the mirror operated like a personal shopper, recommending other apparel and accessories to match what the individual had already selected. Consumers who would rather not waste time running to and from the dressing room could also book a fitting room appointment, which gave them the opportunity to browse clothing in different colors and styles directly through the smart mirror, then have them delivered by a sales associate. To pay, of course, the shopper simply needed to access the pop-up’s app. 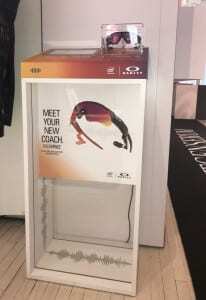 I played around with the technology using a leather jacket, and although it was a unique experience, it took several “taps” before the smart mirror recognized the article. Still, it seemed to me a small kink in an otherwise fun and futuristic experience. 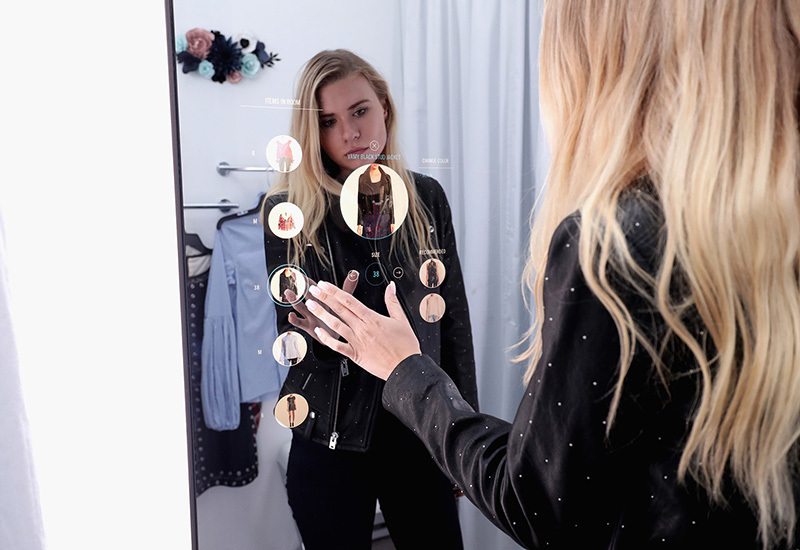 Smart mirrors in the shop’s dressing rooms operated like personal shoppers. And, lest we forget, there was the pop-up’s shoppable storefront window. 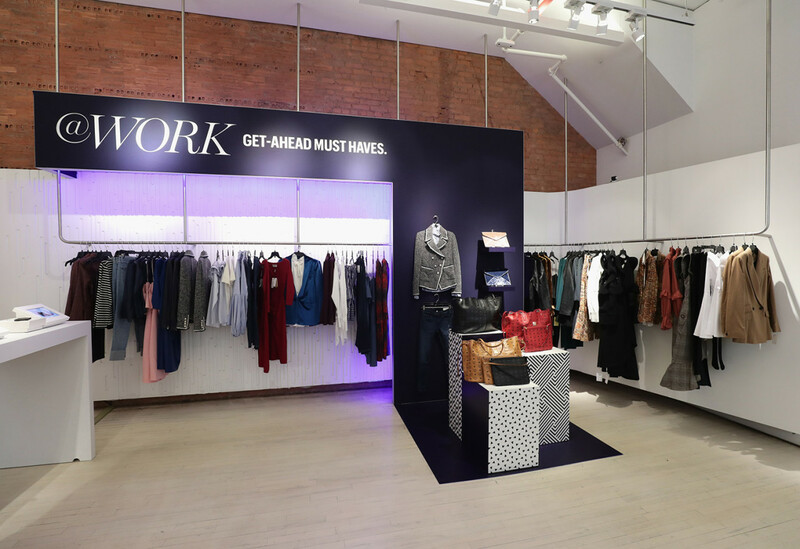 Smart mirrors, facial recognition technology and RFID were certainly used in innovative ways throughout the store. 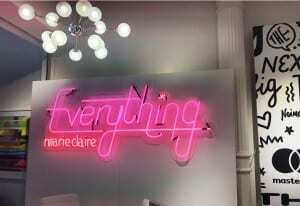 But for an experience that promised to showcase what’s next in “bricks and clicks,” (the integration of brick and mortar retail and technology) this was easily the most futuristic aspect of the shop. 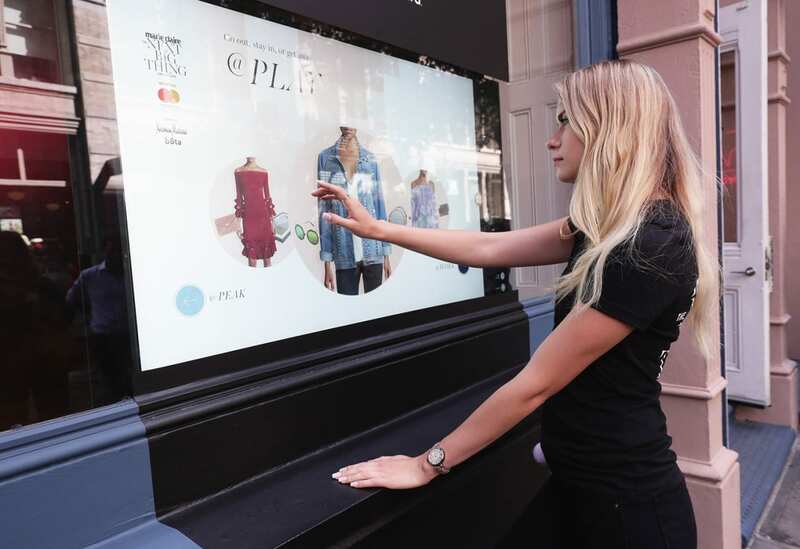 Here’s how it worked: Consumers strolling by The Next Big Thing Concept Shop could stop outside the storefront, decide on an item they wanted to buy, then tap the (touchscreen) window to select it, and the image of a shopping cart appeared. Next, the shopper was prompted to enter their phone number right on the window, which deployed a text with a link to a mobile site where they could complete the purchase. Pretty badass. My only complaint? I wouldn’t have known the window was interactive in a million years if it hadn’t been pointed out to me. 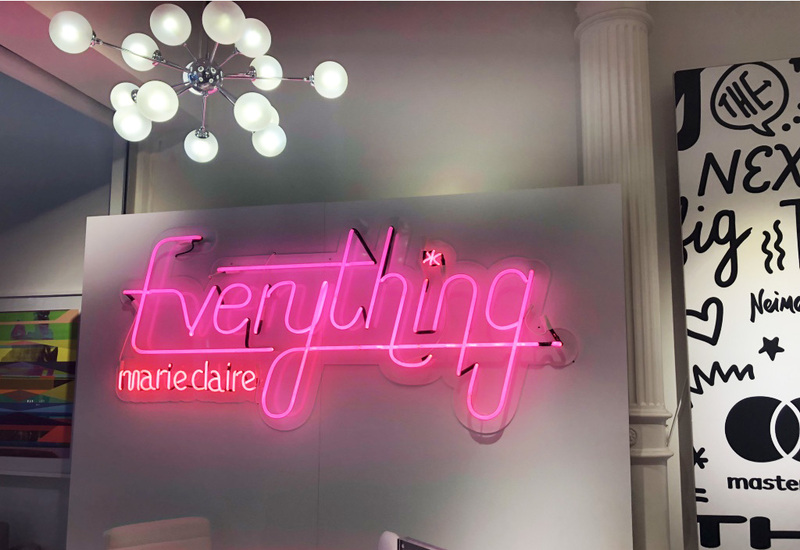 In the end, I didn’t make it to any of the pop-up’s nighttime events, like its meditation classes or nail art demos, but I had plenty of time to explore Marie Claire’s vision for the future of retail. And if the magazine’s concept shop is any indication of what brick and mortar shopping will entail down the road, fun, customized live experiences are definitely what’s in store.